One Eternal Day: "The only sin which cannot be forgiven"
A long essay by Joseph Bottum, "God and the Detectives," considers the religious detective story. Among those that he finds successful are many of Chesterton's Father Brown stories and Melville Davisson Post's Uncle Abner stories. 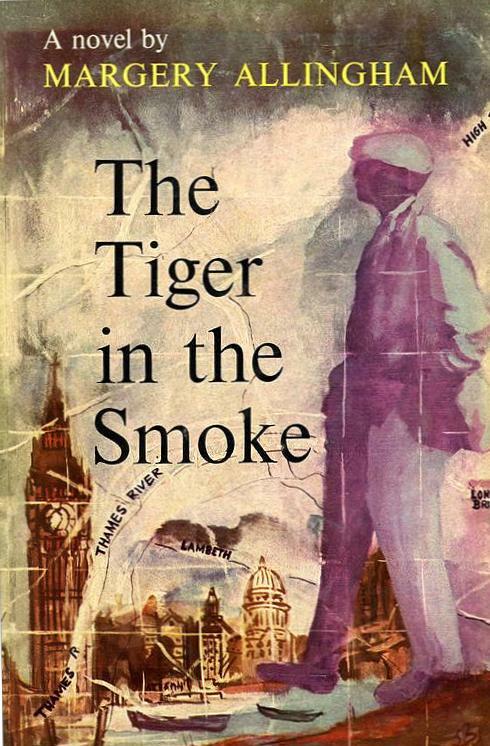 He also cites several detective novels, among which is one of my favorites, Marjorie Allingham's The Tiger in the Smoke. .... A detective story is religious if it superadds an awareness of redemption to the fallen world assumed by all mysteries. If it sees the chance of God's grace down in a universe of sin. That's what makes Chesterton's Father Brown and Post's Uncle Abner more than just intuitive detectives who happen to use religiously gained knowledge in their pattern recognition. It's what makes Joel Townsley Rogers' The Red Right Hand so interesting, and P.D. James' Death in Holy Orders seem a thick narrative. 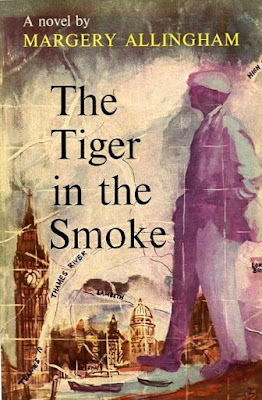 For that matter, it's what makes Margery Allingham's The Tiger in the Smoke the archetypal religious mystery novel, the story to which everyone should look for a model. The book owes more than a little to the thrillers of Graham Greene—those quickly written books he called his "entertainments." Stamboul Train (1932) and The Ministry of Fear (1943) are good examples: popular works that taught two generations of Catholic and High Anglican writers to indulge a kind of Christian moodiness, a brooding sense of original sin, and a not-entirely-happy knowledge of the metaphysical presence of God's moral law. But as Allingham follows her tiger—Jack Havoc, a former commando on a crime spree as he hunts for a mysterious "treasure"—she sees more than just a world of sin. Oh, she opens her story in the fallen world of "the Smoke," which names for her both the London neighborhood through which Havoc rampages and the moral miasma that stains the city: "The fog slopped over its low houses like a bucketful of cold soup over a row of dirty stoves." And yet, even the tiger who stalks through that smoke is not purely malevolent. "Active evil is more incomprehensible in this two-part-perfect world than active good, and so it ought to be," Allingham wrote in an earlier book, and (as the reviewer David L. Vineyard has usefully noted) grace enters Havoc's murderous story through the conduit of a character named Canon Avril. He is a quiet churchman "with an approach to life which was clear sighted yet slightly off-center," and he tries to convince Havoc that he will eventually be destroyed by his belief that his luck allows him to do whatever he wants: "Evil be thou my Good, that is what you have discovered. It is the only sin which cannot be forgiven because when it is finished with you, you are not there to forgive."